Ten University of Notre Dame students have been awarded Fulbright grants in the 2014-15 program, placing the University among the top-producing research institutions in the nation. Eight of Notre Dame’s 10 U.S. Fulbright students come from the College of Arts and Letters, including medieval studies Ph.D. student Amy Nelson. 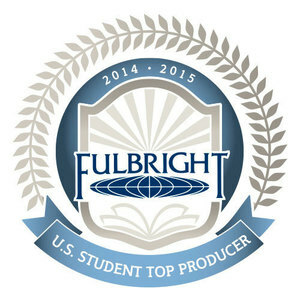 Undergraduates and undergraduate alumni interested in applying for the Fulbright should visit http://cuse.nd.edu/fellowships/fellowships/fulbright/. Graduate students and graduate alumni interested in applying for the Fulbright should contact the Office of Grants and Fellowships.